John King has garnered plenty of praise. 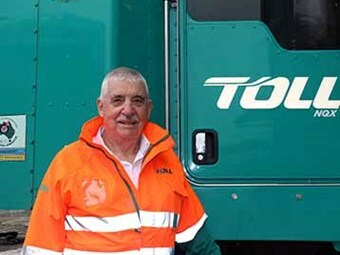 Toll NQX stalwart John King has left the firm after several decades and is reportedly on the lookout for further opportunities in the transport and logistics industry. The company’s now former Toll NQX national linehaul manager, King was a Queensland Trucking Association (QTA) industry excellence award-winner four years ago for his services to road freight industry safety. "His tireless dedication and commitment to safety in the road freight industry has been truly inspirational and is recognised widely," the QTA said at the time. "His relentless pursuit of safety standards is driven by a level of compassion and concern for the wellbeing of all staff and all drivers unsurpassed in the industry." Toll NQX general manager Greg Smith publicly acknowledged the "tremendous effort and achievements of John and his team which has seen the business become a leader in linehaul innovation and on road safety. "It is a rarity these days to have such long serving and loyal employees and it will be a great loss to have such an experienced and well respected staff member no longer in the business." In alerting its members to the move, the QTA noted King would not be lost to the industry. "We hear that John is not yet ready to retire entirely and would be delighted to hear from any small to medium operator who could use his talents in reviewing your on-road and off-road safety strategies," it says.